Happy New Year from crudeoildaily.com! Preliminary discussions took place on 6th December to agree the format for a new standard contract for the employment of armed guards on vessels, co-ordinated by BIMCO. The new contract, which will be known as GUARDCON, will offer shipowners a well thought through agreement crafted by a team of shipowners, lawyers, underwriters and P&I Club personnel, all of whom have considerable experience developing and working with this type of agreement, the Danish-based organisation claimed. Two major law firms are involved in the project - Ince & Co and Holman Fenwick Willan, both of whom have experience representing security firms and shipowners in these types of contracts. At the top of the agenda are the insurance aspects and the underwriting and P&I club input is invaluable, BIMCO said. BIMCO also said that its ultimate objective in developing this standard contract is to provide an agreement that clearly sets out the responsibilities and liabilities of the parties involved, particularly in respect of the potential use of lethal force on board the vessel. It is essential that shipowners should have the comfort of a standard contract that they can use safe in the knowledge that it will not prejudice their P&I cover and that it provides for the security company to carry adequate liability insurance. Rules on the use of force will form an important integral part of the new agreement and will be based on IMO Guidelines 1405/1406, BIMCO said. A first draft is currently being prepared for review by the sub-committee at its next meeting on 6th January. It is hoped that the project can be completed towards the end of January. MOSCOW, Dec 18 - An oil drilling rig with 67 crew on board capsized and sank off the Russian Far East island of Sakhalin on Sunday when it ran into a storm while being towed, leaving 49 of the crew unaccounted for, the regional Emergencies Ministry said. Fourteen crew members were rescued alive from the 'Kolskaya' jack-up rig, operated by Russian offshore exploration company Arktikmorneftegazrazvedka (AMNGR), and four bodies were recovered. The rest of the crew were missing. "The floating drilling rig capsized 200 kilometers (125 miles) off the coast of Sakhalin island at 12.45 local time (0145 GMT)," the Emergencies Ministry said in a statement on its website. The statement said a rescue craft and helicopters had been sent to the site to scour the waters for survivors, but Russian news agencies said rescue work had been halted until Monday morning as night fell in the far eastern region. The 'Neftegaz-55' tugboat that had been towing the Kolskaya rig and had taken part in the search effort, pulled out after suffering hull damage near its engine room. An icebreaker, the 'Magadan', was at the scene. Most of the missing crew were from the Russian far eastern town of Magadan, said a spokesman for AMNGR, a unit of state-owned Zarubezhneft. The company, based in the northern port of Murmansk, flew out counsellors to offer support to relatives. The rig had been doing work in the Sea of Okhotsk for a unit of state-controlled gas export monopoly Gazprom, the company said. It was heading to the port city of Kholmsk on the western side of Sakhalin island from the eastern peninsula of Kamchatka when strong winds and high waves capsized the vessel. Russia's prize offshore gas and oil fields lie to the northeast of the island. No oil spill was likely, but the disaster will deal a blow to efforts by Russia, the world's largest energy producer, to step up offshore oil and gas exploration to offset a long-term production decline at its onshore production sites. Russia has two major offshore projects that are already producing oil and gas off Sakhalin - Sakhalin-1, operated by Exxonmobil and Sakhalin-2, operated by Royal Dutch Shell and in which in which Gazprom has a controlling stake. The disaster is unlikely to seriously affect oil or gas production. Gazprom said the vessel was no longer under contract when it sank, a spokesman for the company told Interfax. Operating conditions at the Sakhalin fields, explored by Soviet geologists in the 1960s and 1970s, are among the harshest for Russian energy companies. 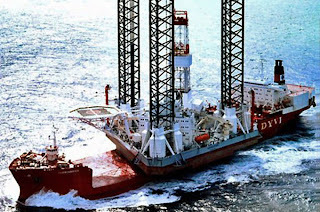 The jack-up rig, which has support legs that can be extended to reach the ocean floor while its hull floats on the ocean surface, was overturned while in the stormy winter conditions. Waves in the waters were reportedly 5-6 metres high. "The violation of safety rules during the towing of the drilling rig, as well as towing without consideration of the weather conditions, in so far as the rig was being towed in strong storm conditions, is believed to be the cause of the (disaster)," investigators said, state news agency RIA reported. Winter often lasts 220-240 days in the waters off Sakhalin, where the main companies operating are ExxonMobil, Gazprom, and Royal Dutch Shell, who produce oil and gas, sometimes in icebound conditions, for export largely to Asian markets. The Sakhalin-2 project run by Shell, Gazprom and Mitsui , produces 10 million tonnes per year of liquefied natural gas (LNG) at Russia's only LNG plant in the southeastern port of Prigorodnoye for export to Asia, much of it to Japan. Each tanker of crude oil produced by at the 160,000 barrels-per-day Sakhalin-1 project, operated by ExxonMobil, is escorted by two icebreakers when ice thickness reaches 60 centimeters. State-controlled Rosneft this year reached a major deal with Exxon to explore for oil and gas in the Kara Sea, to the north of the Russian mainland, a largely unexplored region estimated to hold over 100 billion barrels of oil. A combination of poor infrastructure and chronic corner cutting has dealt the country its share of sea disasters, noteably the 2000 sinking of the nuclear submarine Kursk in the Barents Sea in August 2000, killing all 118 aboard and prompting criticism of the sluggish response. In just three months, gold [XAU= 1569.70 -4.49 (-0.29%) ] has gone from the trade that works in every kind of market to the trade that doesn’t work in any market. Bullion is off more than 17 percent from an all-time high reached in September as strapped hedge funds and sovereign funds sell the metal to raise funds and the strong U.S. dollar [.DXY 80.32 -0.26 (-0.33%) ] strips it of its safe haven status. For a time, gold rose with stocks and other assets as central banks added liquidity to stem off a global financial crisis. It also climbed in down equity markets as investors crowded into the trade for its traditional status as a store of value in tough times. Gold was up more than 25 percent in 2011 through early September. The market value of leading gold exchange-traded fund , the SPDR Gold Trust [GLD 152.804 -0.086 (-0.06%) ] , ballooned to $73 billion in November as investors poured more money into gold funds than any other asset class. In just four days, the gold sell-off has turned violent, plummeting more than $100 to breach the $1,600 level. On Wednesday gold fell with stocks. The next day, the metal fell even as the equity market rose. Gold gained some notable backers along its bull run, which only added to the speculative fervor. Most notably, hedge fund manager John Paulson has made the SPDR Gold Trust ETF his firm’s single largest holding. The flagship fund run by Paulson, who’s received more accolades than anyone for profiting from the housing bust, is down more than 40 percent for 2011 at last count. With the recent drop in gold, it’s likely down even more, if he isn’t selling. To be sure, gold has always been a volatile trade that can turn on a dime. Unlike a stock, there are no earnings behind the metal. It’s only worth as much as what the next guy will pay for it. That dynamic has been skewed by the ETF and other retail money flowing into the trade this year, say long-term gold bulls. John Melloy is the Executive Producer of Fast Money. Before joining CNBC, he was an editor for Bloomberg News, overseeing the U.S. Stock Market coverage team. Click here to see his full bio. Got something to say? Send us an e-mail at fastmoney-web@cnbc.com and your comment might be posted on the Rapid Recap! If you'd prefer to make a comment, but not have it published on our Web site, send your message to fastmoney@cnbc.com . Qatar Petroleum’s Mesaieed Terminal & Export Department has celebrated the 11,000th export shipment of Qatar Land Crude Oil from its terminal facility at the industrial city. The 11,000th shipment of Qatar Land Crude was loaded to the tanker ‘Towada’ on Monday 12 December. The loading operation was inaugurated by Said Mubarak al-Mohannadi, QP director (Operations) from the Multi Product Berth Control Room at the Mesaieed Terminal. The first-ever crude oil shipment from Qatar was made from the same terminal on December 31, 1949 on the tanker President Meny. The tanker carried about 94,000 barrels, which took approximately 72 hours to load. In contrast, the 11,000th shipment of approximately 653,000 barrels was loaded in just about 12 hours. Over the past 62 years of continuous development, Mesaieed has become one of the major export terminals in the Middle East. As part of its ongoing development, a new multi product berth jetty has been constructed in Mesaieed, thus making it possible to load crude oil and refinery naphtha at the same time from the control room. Simultaneously, the terminal’s storage and export facilities have undergone comprehensive modernisation and upgrade. All these would now enable Qatar Petroleum to accommodate higher-capacity tankers, bigger parcel sizes and export multiple products in much less time than before. But these days, hopping a freight train in North Dakota, especially in the dead of winter, would be a death knell for a hobo. That’s because all the cars are tankers, loaded with crude. There’s no place to hide from the cold. They’re all headed south, delivering oil to refineries along the Gulf Coast. Most investors in the energy sector are thoroughly familiar with the “Bakken Boom.” The Bakken formation is a 25,000-square-mile chunk of oil- and gas-bearing rock that underlies part of North Dakota, Montana and Saskatchewan. It’s responsible for the revolution in shale oil and shale gas that’s taken the area by storm over the last few years. It’s the primary reason North Dakota’s overall unemployment rate is a whopping two percent. That’s less than a quarter of the national average. Estimates for how much oil the Bakken contains vary. According to North Dakota’s Geological Survey, up to 169 billion barrels of oil may lie trapped within Bakken shale. That would run the entire country for over a decade at present usage rates. The oil- and natural gas-bearing rock is an average of 150 feet thick. However, it can be as thin as fifty feet in some places. Oil and natural gas were discovered here way back in the 1950s. It proved impractical to extract either, mostly because they were tightly trapped in the thin layer of shale rock that makes up the Bakken formation. But horizontal drilling and hydraulic fracturing changed all that. Drilling companies are able to drill down to the oil- or natural gas-bearing layer, turn the drill bit, and then follow it for miles. Once the well is completed, the surrounding rock is hydraulically fractured, and the cracks are propped open. This allows oil and gas to flow out of the well to the surface. These two processes have completely changed oil and gas drilling in the United States. Nowhere is that more apparent than in the Bakken. The “Bakken Boom” is responsible for the quadrupling of North Dakota’s oil production since 2005. Take a look at these charts from the EIA. The data is based on information from the North Dakota Department of Mineral Resources. This past September, the state’s oil production averaged over 460,000 barrels per day (bbl/d). That’s nearly five times September 2005 levels. Oil production has increased to the point where North Dakota oil production is only surpassed by Alaska, Texas and California. But the Bakken is just beginning to be exploited. Just over 200 rigs are currently drilling there. Projections are for at least 10 more by the end of the year, according to a study undertaken by the Associated Press. All that drilling has created a backlog on the back end of the process. North Dakota Department of Mineral Resources (DMR) data currently indicated there are over 350 drilled wells awaiting fracturing services. As more and more wells are fractured, oil production will continue to increase. The DMR is forecasting an oil production jump of 100 percent to as much as 750,000 bbl/d by 2015. This is higher than the 700,000-bbl/d estimate it gave earlier this year. There’s just one problem: There isn’t enough pipeline capacity to get all this oil out of North Dakota. The proposed BakkenLink Pipeline, which will connect up to nine terminals to the big TransCanada Pipeline, won’t be completed for at least two years. The Keystone Pipeline, designed to haul crude from the Alberta oil sands and transport it south, was also supposed to pick up crude from the Bakken. All this pipeline posturing presents a golden opportunity for the freight transportation method that’s been a mainstay of the United states for well over 100 years: railroads. Even when these pipelines get approved, it will take years to build them. The Keystone is 2,000 miles long. That means railroads will be the transportation method of choice for years to come. Hess Corporation (NYSE: HES), one of the operators developing Bakken acreage, understands this all too well. This year, it’s spending a big chunk of the $1.6 billion earmarked for its Bakken operations on a new railroad loading terminal and storage facility. When completed, Hess will be able to ship 130,000 barrels a day via rail. The company has plans to triple its Bakken shipments in the next five years to over 80,000 barrels per day from its current level of 25,000. With pipelines on hold and oil flows continuing to rise at record rates, railroads servicing the Bakken are sitting on a cash cow for the foreseeable future. Investors might want to consider using dips in the market to pickup shares of any of the three companies mentioned above. ABUJA – The Nigeria National Petroleum Corporation, NNPC, yesterday failed to give account of 65,000 barrels of crude oil out of the 445,000 barrels of crude allocated to it daily for domestic consumption. Making the first public account of the utilization of its domestic allocation at the Senate public hearing on the management of the fuel subsidy regime of the Federal Government, the corporation’s officials also disclosed that 20% of the cost of imported fuel represented the component associated with importation. Nigeria’s brent crude was selling at $97.89 yesterday translating to a daily $6.362 million or N939 million daily that cannot be accounted for. The Group Managing Director of the NNPC Mr. Austion Oniwon led senior officials of the corporation to the Senate hearing presided over by Senator Magnus Abe, Chairman of the Senate committee on Petroleum, Downstream. Giving a breakdown of the utilization of the 445,000 barrels of oil allocated to the NNPC for utilization by the local refineries, Mr. Oniwon disclosed that the corporation sells 65,000 barrels of the allocation to a foreign oil company and another 65,000 barrels of the lot is refined by Societe Ivoirienne De Refinnage in Cote Di’ Voire. He, however, claimed ignorance of the 65,000 barrels sold daily. Oniwon while giving the breakdown of the management of its daily crude allocation told the committee that only 170,000 barrels of the daily allocation were refined locally. He also told the committee that the NNPC swapped 60,000 barrels per day of its daily allocation for refined products to a United Kingdom based company called Trafigura, while another 90,000 barrels per day was allocated in another round of swapping to Duke Oil, a subsidiary of NNPC. On the retail price of crude, he told the committee that the corporation before 2003 was buying crude oil locally at a reduced price, paying between $9.50 and $22 per barrel between 1999 and 2003, but a change of policy has led the NNPC to be buying crude at international oil market price. Also making presentation to the committee, the Executive Secretary of the Petroleum Products Pricing Regulatory Agency, PPPRA Mr. Reginald Elijah, declined responsibility for providing security at the tank farms where imported products were stored even after paying subsidies on the products. Mr. Elijah was responding to concern by members of the committee that the products for which subsidies had been paid had been left in the hands of the beneficiaries as he argued that it was not within the purview of the PPPRA to provide security at the tank farms. On the rationale for the computation of the components of the subsidy, he noted that there were various charges, as well as the actual price of crude in the international market. According to Elijah, the price of crude accounted for 80 per cent of what becomes the cost of the pump price of PMS, adding that the 20 per cent represented charges ranging from storage, finance, admin, freight and distribution elements. Chairman of the Committee, Senator Magnus Abe queried the management of subsidy on diesel (automated gas oil, AGO) and kerosene describing it as sham by oil companies. 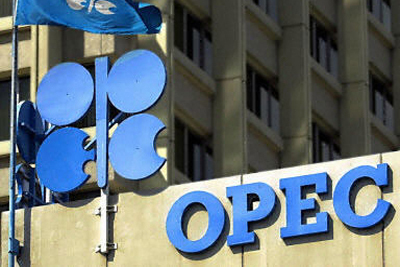 (Bloomberg) -- Members of the Organization of Petroleum Exporting Countries including Iran and Venezuela are in agreement that the group should set a production ceiling of 30 million barrels a day, an OPEC delegate said. The group may not allocate individual quotas to each of the 12 nations because there may be disagreement on how the total oil output should be distributed, the person said, declining to be identified because the matter hasn’t been decided. As the Nigerian economy continues to grow – peaking at 7.72 per cent in the second quarter of 2011 and projected to hit 7.98 per cent by the end of this year energy demands have equally continued to rise. The demands stemmed from increase in economic activity, population and the epileptic nature of power in the country that has required industries and homes to generate their energy needs. This has helped the sector to witness active performance. International companies also made efforts to acquire stakes in oil and gas blocks, form joint ventures and source natural gas to meet rising fuel demand. They consider Nigeria’s good source of hydrocarbon potential and new gas discoveries. It is a good year for the oil majors as profit margins was aided by high oil prices. Demand for oil was comparatively robust. On the balance, the government’s energy plan placed emphasis on natural gas. This followed the government‘s commitment to use gas as part of a broader emphasis on renewable sources of energy and economic growth. The year saw little closures on account of militant attacks but new investments were stalled owing to non-passage of the Petroleum Industry Bill (PIB). Major upstream development projects in Nigeria accruing to billions of naira have been stalled as a result of lingering delay in the passage of the PIB. The situation has become a growing concern as most service providers who incidentally are responsible for oil industry workforce have confirmed the lull in contract awards owing to refusal of International Oil Companies, IOC, from investing in upstream development projects in the country. The IOC, on their part, has continually stated that they cannot afford to invest without a clear fiscal and regulatory terms to work with. That, according to them, can only be made available if the PIB is passed. Some oil service providers said the situation is threatening to wipe out the gains recorded so far in the implementation of the Nigerian content policy as most of the firms have started massive lay-off of staff due to long period of redundancy. They also argued that the situation may have put the key targets and objectives of the Nigerian Content law on reverse course. Managing Director of DeltaAfrik, an indigenous Engineering Company, Akin Odumakinde, while speaking on the evolution of local content policies among African governments, noted that the delay in the passage of the PIB has stalled key development projects expected to yield significant patronage for the local firms. He emphasised that local firms providing services in the oil industry have been constrained to lay off over 80 per cent of their staff to cut overhead costs and keep afloat in a period of acute business lull. Odumakinde said following long period of inactivity, the petroleum industry has remained stagnant in the past five years when the crisis about the contents of the bill raged. 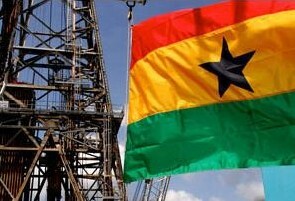 Besides, the development of Shells operated Bonga Southwest field and Total operated Egina field - two key deepwater projects have been stalled due to disputes over the PIB. Reports that the PIB, which prescribed a comprehensive fiscal overhaul of the Nigerian petroleum laws, has been the subject of heated debate in the industry since its introduction to the National Assembly last five years. The disputes have led to innumerable reviews and interventions in the law, resulting in protracted delays that have become difficult resolve given the new composition of the National Assembly. Two local firms - First Hydrocarbon Nigeria (FHN) owned by Afren and Neconde Energy - a consortium including Nigerian firms Nestoil, Aries and VP Global and Poland’s Kulczk Oil Ventures have completed the purchase of 45 per cent stakes in two onshore oil blocks, previously owned by Shell, Total and Eni . First Hydrocarbon Nigeria (FHN) bought a 45 per cent stake in OML 26 owned jointly by Shell, Total and Eni, the Nigeria National Petroleum Corporation (NNPC) said. The block has target production of 50,000 barrels of oil per day by 2015. The corporation also said the foreign oil majors sold 45 per cent of OML 42 to Neconde Energy. These blocks are among several ones put up for sale this year by Shell Petroleum Development Company (SPDC), a joint venture between Shell (30 per cent), Total (10 per cent), Eni (5 per cent) and NNPC (55 per cent). NNPC is transferring its stake in the former SPDC blocks to Nigerian Petroleum Development Company (NPDC), the exploration and production arm. NPDC and FHN will jointly operate production from OML 26. The government and the oil sector are struggling to find a compromise deal that could PIB from collapse. Several measures were taken to block revenue leakages in the oil and gas sector. One of such was audit of Nigerian National Petroleum Corporation (NNPC). Directive was given to the NNPC to submit its budget to the National Assembly, in line with the provision of the Constitution and the Fiscal Responsibility Act. Shell Nigeria also accepted liability for oil spills at Bodo in Ogoniland following a class action suit in London. Proceedings against Royal Dutch Shell and Shell Petroleum Development Company (SPDC) Nigeria began in the high court on April 6, 2011. Shell Nigeria accepted responsibility for the 2008 double rupture of the Bodo-Bonny trans-Niger pipeline that pumps 120,000 barrels of oil a day though the community. The crude oil that gushed unchecked from the two Bodo spills, which occurred within months of each other, in 2008 has clearly devastated the 20 sq km network of creeks and inlets on which Bodo and as many as 30 other smaller settlements depend for food, water and fuel. To boost power supply, the Federal Government signed two gas supply agreements with Power Holding Company of Nigeria (PHCN) and other stakeholders. The deals were signed by the Petroleum Resources Minister Deziani Alison-Madueke and representatives of oil and gas operators Shell, Chevron, Agip, Total and Power Holding Corporation of Nigeria (PHCN). The Federal Government unveiled a massive $130 billion investment plan for sustainable growth and development in the oil and gas sector within the next five years. Also, plans are in top gear for the construction of additional 2,000km of oil and gas pipelines across the country. Mrs. Alison-Madueke said the five-year investment plan was designed to promote rapid inflow of foreign investments into the Nigerian oil and gas industry as well as develop in-country capacity. She said part of the money would be used for the gas utilisation projects, which include the construction of world class petrochemical plant at Koko in Delta State, fertiliser manufacturing plants and three Greenfield refineries in Lagos, Bayelsa and Kogi States. The minister listed some of the areas that required foreign investment intervention to include Engineering design and related services, petroleum engineering services, fabrication and construction, pipe mills and equipment leasing. others include civil works, logistics and haulage, financial services, as well as in the areas of hospitality services for construction workers. The minister stated that the 2,000km pipeline would transport gas to the thermal power generation plants to ensure availability of adequate gas for stable electricity supply. She added that numerous contractual agreements would soon be signed in this regard. The minster stated that the government was committed more than ever before to end gas flares, stressing that the focus on gas projects was part of the government's concerted effort to stop flaring of associated gas. Mrs Alison-Madueke said the government's plan to increase domestic gas consumption from the current one billion cubic feet per day to five billion cubic feet within the next five as provided for in the massive gas infrastructure development projects. Investments in oil and gas exploration before the end of the year is also expected to reach $45 billion (N67 trillion) according to the Nigerian Association of Petroleum Explorationists (NAPE). NAPE President, Mr Jide Ojo, stated that investment would be about $35 billion (N5.25 trillion) higher than that of 2010, adding that the industry was able to recover from the economic depression of 2009. He said: “The projected increase in spending will provide opportunities for sustainable growth in the oil and gas sector. 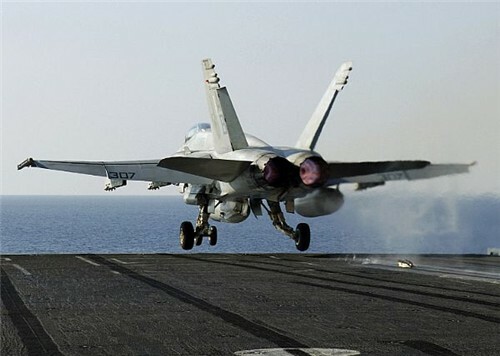 The US Navy says it is to adapt a biofuel blend for aircraft and vessel use which will be put in use near Hawaii around the middle of next year. About 450,000 gallons of biofuels will power a navy carrier group during a maritime exercise as part of a $12 million (€8.95 million) deal with Dynamic Fuels, which is a joint venture between Tyson Foods and Syntroleum. Solazyme will also work with Dynamic Fuels on the contract, although its company uses algae-derived biofuel whilst Dynamic works with biofuel produced from used cooking oil and non-food grade animal fats. ‘This is not only going to help the navy … [and] our national security, but it’s going to help the farmers and agriculture in the United States,’ he adds. US Department of Agriculture Secretary Tom Vilsack says the Agricultural Research Service and National Forest Service scientists have been looking at more non-food feed stocks for biofuels and the Forest Service announced $118 million for further development in this. ‘This announcement, I think, underscores the fact that the future for the navy … [and] this country lies in energy security, and basically controlling our own destiny by producing our own fuels in a creative and innovative way,’ Vilsack says. ACCRA (Reuters) - British oil firm Tullow Oil said on Thursday it hoped production from its Jubilee oil field in Ghana would reach 120,000 barrels per day by "early next year", narrowing the possible timing of a target delayed twice already. The offshore field started pumping in December 2010, vaulting Ghana's economic growth into the double-digits, but plateau output has been put off twice in the second half of 2011 by technical problems. "It's only a technical problem. The Jubilee resources are intact so we are hoping to reach the 120,000 bpd (target) early next year," Tullow spokesman Gayheart Mensah told Reuters. The outlook narrows down guidance provided by Tullow Chief Financial Officer Ian Springett last month that the 120,000 bpd target would be achieved "sometime during 2012". The onset of oil revenues in Ghana, also a major cocoa and gold producer, has helped propel annual growth to over 16 percent, making it one of the world's fastest growing economies. But significant delays to targeted oil production could dent revenues to the treasury. 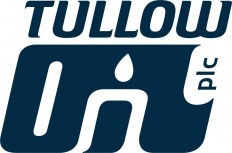 Another Tullow official said on Thursday the company was not "overly worried" about a maritime boundary dispute between Ghana and its western neighbour Ivory Coast. The two countries are currently in protracted talks on offshore boundary limits after Ivorian authorities produced a map claiming parts of the Jubilee field. "This is a political issue that will be resolved at governmental level," Rosalind Kainyah, vice president for External Affairs told Reuters. LAGOS, Nigeria (AP) — Royal Dutch Shell PLC and Italian oil firm Eni SpA have purchased rights to an offshore oil field near Nigeria's coast that could hold as much as 9 billion barrels of oil, the companies said Thursday. The purchase ends a long dispute over who would run the field held by a company with ties to a former oil minister during the military rule of Sani Abacha, whose kleptocratic rule saw billions stolen from Nigeria. It also signals oil firms remain willing to expand in Nigeria, despite unease over a long-running debate about changing the laws that govern crude production in a nation vital to U.S. energy supplies. The oil field sits near French oil firm Total SA's Akpo offshore field, more than 100 miles (150 kilometers) off the coast of Nigeria's Rivers state. Experts believe the field holds oil reserves that would put it among some of the top fields in the world. In separate statements, Shell and Eni confirmed the purchase of the fields. Shell said the field's production would be split 50-50 among the two companies, with Eni running the operations of the deep-water oil drilling and production. Neither company disclosed the price it paid for the field. A spokesman for the state-run Nigerian National Petroleum Corp., which partners with foreign firms working in the country's oil fields, did not respond to a request for comment Thursday. The sale ends an ongoing dispute between Shell and local company Malabu Oil and Gas, which has links to former Nigerian oil minister Dan Etete who served in Abacha's regime in the 1990s. Shell had earlier been signed to produce oil there under Malabu, but the deal fell apart and the two firms became entangled in lawsuits. It remains unclear how the deal was brokered, but both Eni and Shell said they did not enter into any deals with Malabu Oil and Gas to close the deal. Shell also said it paid its portion of the sales price to the federal government. The deal comes as Nigeria still considers whether to overhaul laws surrounding oil production. Debate over the Petroleum Industry Bill had caused foreign companies to hold off on new investments in Nigeria. Analysts say the petroleum bill would sharply reduce the profits of foreign oil companies like Chevron Corp., ExxonMobil Corp., Eni, Shell and Total. Government officials say the bill would allow more oil money to return to Nigeria's people. However, the bill has apparently stalled after years of discussion and it remains unclear whether Nigeria's National Assembly will be able to pass any change to the laws soon. Nigeria, an OPEC member nation producing about 2.4 million barrels of crude oil a day, is a top supplier to the U.S.
Production in the country picked up in recent years after a government-sponsored amnesty deal brought many militants in the region out of its winding creeks. However, thefts from oil pipelines have grown drastically and some ex-fighters have become disenchanted with the amnesty program. WASHINGTON (AP) — President Barack Obama pledged a 'rigorous review' of a proposal for an oil pipeline between the U.S. and Canada after a meeting with Canadian Prime Minister Stephen Harper. The Obama administration's move to delay a decision on whether to proceed with the pipeline was poorly received in Canada, which views the project as critical to its economy. Labor groups in the U.S., as well as Republican lawmakers, also see the pipeline as an opportunity to create much-needed jobs in the U.S. The White House has denied that politics caused the project's delay, saying further review is needed in order to balance job creation and energy security with public health and safety. During a joint appearance with Harper, Obama said it is important that all the issues "are properly understood." Ramin Mehmanparast, spokesperson for Iran's Foreign Ministry, laid it out for all to hear. 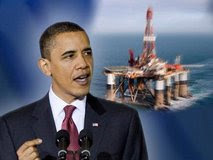 Reacting to the possibility of new Western penalties that could reduce its oil exports, he issued a warning that oil prices could more than double to $250/barrel ("Penalties May Send Oil Prices Soaring, Iran Warns," New York Times, 12.06.11). Really!? Are you afraid? Well don't be. Should Europe cut off imports of Iranian oil, as they already have with Syrian oil in solidarity with the Syrian people's suffering under its current murderous rulers, the impact on the oil market would be minimal. For Iran, given the impact of economic sanctions already in place and beginning to have meaningful effect, it could be fatally disruptive to the current regime. 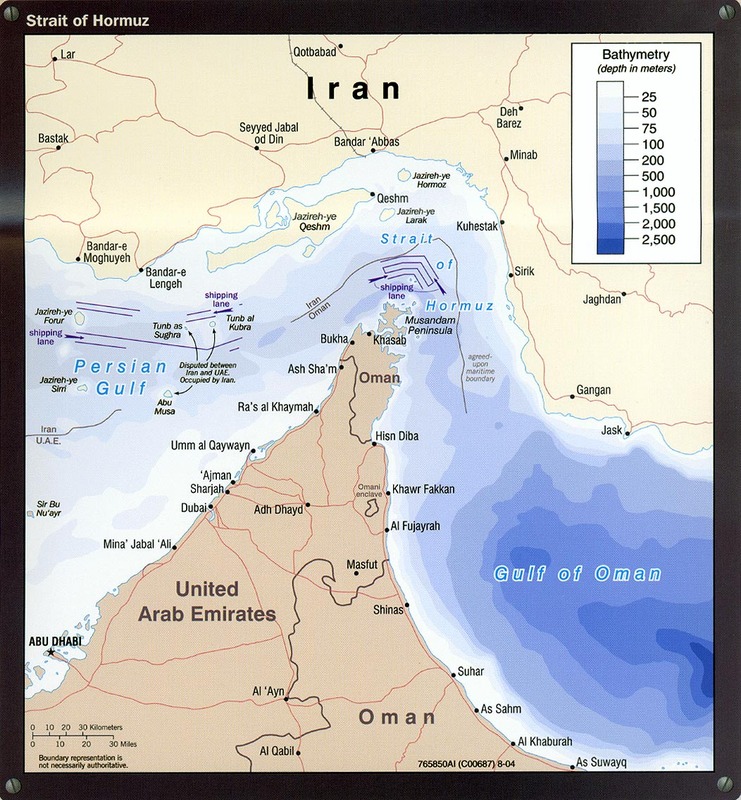 Consider the following: Europe's daily imports of Iranian oil are approximately 450,000 barrels/day. Europe's total consumption of oil exceeds 15 million barrels/day. The International Energy Agency, charged with the oversight of Europe's strategic oil reserves, controls a supply equivalent to 90 days of European oil consumption, or well in excess of a billion barrels of oil, near double the 750 million barrels held in the U.S. Strategic Petroleum Reserve. Enough, in itself, to cover the Iranian shortfall for several years, more than enough time to effect regime change in Iran. Then, of course there are the millions of barrels/day excess capacity that could be brought on stream from the Gulf Cooperation Council comprising Kuwait, Bahrain, Qatar the United Arab Emirates, and most especially Saudi Arabia, whose interests viz a viz Iran are in line with the interests of Europe, the United States and the rest of the world's unease at the prospect of nuclear weapons in the hand of messianic fanatics. The recent IMO Assembly adopted a resolution urging governments to continue their efforts to combat piracy and armed robbery against vessels off Somalia. At the meeting held between 21st and 30th November, the Assembly also passed a resolution firmly establishing 25th June each year as the ‘Day of the Seafarer’. The resolution on piracy said that the IMO condemned and deplored all acts of piracy and armed robbery against ships, irrespective of where such acts occur, or may occur; and expressed deep sympathy for the loss of seafarers, while in captivity, for their plight while held hostage in appalling conditions, often for long periods of time and for their families. Among other things, the resolution strongly urged governments that have not already done so to do everything in their power, promptly, to ensure that ships entitled to fly their flag comply with the preventive, evasive and defensive measures detailed in the best management practice guidance (BMP4) already promulgated through IMO. It also urged governments to decide, as a matter of national policy, whether their vessels should be authorised to carry privately contracted armed security personnel (PCASP) and, if so, under what conditions. In addition, port and coastal States were strongly urged to promulgate their national policies on the embarkation, disembarkation and carriage of PCASPs and of firearms, ammunition and security-related equipment to be used by them on board ships; and to make those policies and procedures known to the shipping industry, to the providers of privately contracted armed security personnel, plus to all member governments. The resolution also said that governments should encourage their owners and operators to consider the provision of post-traumatic care for seafarers attacked, or held hostage by pirates and for their families and, in so doing, take into account recommendations and good practice guidance produced by the IMO, the shipping industry and welfare organisations. Governments should establish, as necessary and when requested, plans and procedures to keep substantially interested states informed, as appropriate, about the welfare of seafarers in captivity on their vessels, measures being taken for the early release of such seafarers and the status of payment of their wages. Altogether, 27 resolutions were adopted by the Assembly at the meeting. Category (a) 10 States with the largest interest in providing international shipping services:- China, Greece, Italy, Japan, Norway, Panama, South Korea, Russia, UK and US. Category (b) 10 States with the largest interest in international seaborne trade:- Argentina, Bangladesh, Brazil, Canada, France, Germany, India, Netherlands, Spain and Sweden. Category (c) 20 States not elected under (a) or (b) above, which have special interests in maritime transport or navigation and whose election to the Council will ensure the representation of all major geographic areas of the world: - Australia, Bahamas, Belgium, Chile, Cyprus, Denmark, Egypt, Indonesia, Jamaica, Kenya, Liberia, Malaysia, Malta, Mexico, Morocco, Philippines, Singapore, South Africa, Thailand and Turkey. The Council is the IMO’s executive body and is responsible, under the Assembly, for supervising the work of the organisation. recommendations to governments on maritime safety and pollution prevention. The newly elected Council met following the conclusion of the 27th Assembly for its 107th session. Somali pirates have released a hijacked palm oil tanker and 21 crew members. However, they kept four South Koreans as hostages, the ship’s Singapore-based operator said Thursday, according to Associated Press. According to agency reports, the pirates promised to release all 25 crew members by Wednesday but instead took the four South Koreans ashore and they are now believed to be in Somalia, Glory Ship Management said. “We are expending all efforts to secure the release of the four South Koreans still held as hostage,” Glory reportedly said. Pirates seized the Singapore-registered 29,870 dwt ‘Gemini’ with her cargo 28,000 tonnes plus of crude palm oil off the coast of Kenya on 16th April, while she was en route from Indonesia. Glory said that the released crew members — 13 Indonesians, five Chinese and three people from Myanmar — were in good health. South Korea’s Foreign Ministry said it was co-operating closely with Glory to seek the four crew members’ release. 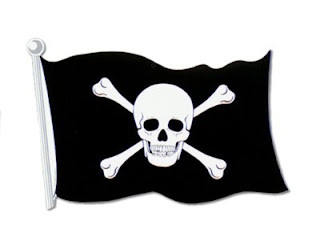 However, it reiterated South Korea’s position not to negotiate with pirates. In January, the South Korean military killed eight Somali pirates and captured five others in a raid on a hijacked South Korean-operated cargo ship in the Arabian Sea. The five captured pirates were taken to South Korea and received long prison sentences. 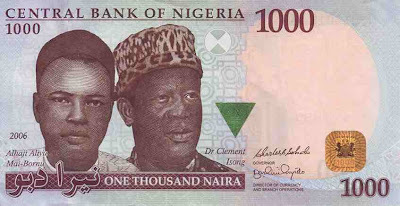 LAGOS(Reuters) - The Nigerian naira currency strengthened against the U.S dollar on the interbank market on Monday after energy companies sold about $91 million. The naira closed at 161.30 to the dollar on the interbank market from 161.40 Friday's close due to the inflows from two energy firms. Traders said local unit of Chevron sold about $66 million to some lenders, while Agip sold $25 million which provided some dollar liquidity and support for the local currency. In the official window, The central bank sold $200 million at 156.50 to the dollar, short of the $229.14 million demanded and compared with $200 million sold at 156.31 to the dollar at the previous auction on Wednesday. Traders said the central bank continues to indirectly control demand and the bid rate at its bi-weekly auction in a move to reduce pressure on the local currency and ensure stability around its trading band. "Officials of the central bank usually called around before the auction and asked banks to limit their dollar demand to a specific amount and also that they should not quote above a certain rate otherwise their bids will be disqualified," a traders told Reuters. The central bank last month moved its target trading band for the naira to +/-3 percent around 155 naira, from +/-3 percent around 150 due to prolonged naira weakness and high dollar demand. "The naira will depreciate further in the coming days because dollar supply is not coming as much again, while demand remain strong," another dealer said. Traders said if the central bank continue to sell dollars directly in the market, the naira could trend around 161-161.60 in the near term, otherwise, it will eased further. Are EU Sanctions Against Iran Enough? “The measures fell well short of demands by Britain and France for an embargo on oil purchases from Iran, one of the world’s leading producers. Greece, a European Union member and a significant buyer of Iranian oil, expressed strong resistance to that step. France’s Le Monde believes sanctions are likely to do more harm to the countries imposing the measures than to the Iranian regime itself. The French paper says an embargo on oil would be hard to bear for countries like Spain, Greece and Italy, whose economies are shaky, and which import almost 15% of their oil from Iran. In addition to Great Britain, Italy, France, Germany and the Netherlands have already withdrawn their ambassadors from Tehran. LONDON—Nigerian firms have bought onshore oil licenses from a group of European oil giants, including Royal Dutch Shell PLC, as the company continues to trim its assets in the country that are less integral to its strategic growth. The Nigerian firms, some acting as a consortium and another backed by U.K. explorer Afren PLC, bought the licenses from Shell, Total SA and SPA's Agip unit, the companies announced Tuesday. The deals for stakes in two oil production interests in the West African country have a total value of $732 million, with total cash proceeds to Shell's local joint venture of $488 million. Shell, which operated both blocks, has already divested other Nigerian assets. 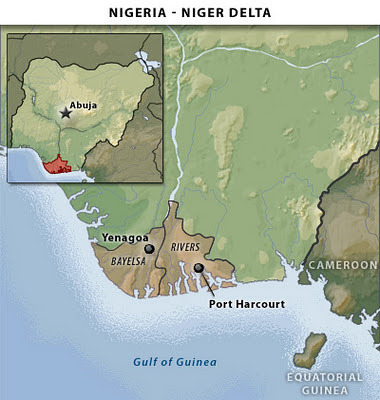 The Anglo-Dutch oil major's operations onshore Nigeria have long been beset by sabotage and th eft and the company has faced decades of criticism from environmental and human-rights groups concerned about the impact its activities have had on the local ecosystem. The company said the divestments were part of a strategy to refocus its Nigerian onshore interests and in line with the country's goal of giving indigenous companies a greater role in the country's oil and gas sector. In a statement, Shell said it remained committed to keeping a long-term presence in the country "both onshore and offshore." In one of Thursday's deals, Afren affiliate First Hydrocarbon Nigeria Ltd. said it paid $147.5 million for a 45% stake in Oil Mining Lease 26 from Shell, Total and Agip. The block currently produces around 6,000 barrels of oil a day from two fields. Afren, which holds a 45% stake in FHN, said it plans to boost output to 40,000 barrels a day over the next four years before reaching plateau production of 50,000 barrels a day. "This acquisition is a strong endorsement of Afren's long-term strategy of working with indigenous companies to reactivate fallow assets held by the major international oil companies in Nigeria," said Afren Chief Executive Osman Shahenshah. The remaining 55% interest in the license is owned by Nigerian state oil firm, the Nigerian National Petroleum Corp. Afren said FHN will partner with NNPC's exploration and production arm in re-developing the block. In the second deal announced Thursday, the Neconde Energy Ltd. consortium bought a 45% stake from the same three majors. The NNPC also holds the remaining interest. The consortium is majority Nigerian-owned and includes Nestoil Group, Aries E&P Company Limited and VP Global, as well as Polish firm Kulczyk Oil Ventures. According to a statement on the Kulczyk Web site, Neconde paid $585 million for the stake in the block, which covers some 814 square kilometers and includes several oil fields. "Operations had been shut down because of militant activity, but production from the Batan field resumed earlier this year and is currently producing circa 15,000 barrels of oil per day," Shell said. The deals have been approved by all relevant national authorities, Shell said. Shell is still in the process of selling stakes in its other onshore licenses in Nigeria, though delays have reportedly arisen because some potential buyers have expressed concern about whether they will be able to take full operatorship of the blocks.